Custom Cases – Custom Case Company, Inc. Choosing the material for a custom case is an important decision and there are many options for the customer to pick from including plastics such as high density polyethylene (HDPE), fiberglass reinforced polyester (FRP), carbon fiber, rotationally molded polyethylene or linear low density polyethylene (LLDPE), aluminum, leather, glass, nylon, neoprene, polyester, steel, acrylic, wood and more. In general, cases can be broken into two groups: hard and soft. Hard custom cases have rigid outer shells that offer increased protection against crushing and can be waterproof whereas soft cases are flexible and cheaper. While many manufacturers provide stock sizes for items with standard dimensions such as television screens, computers or photography equipment, industrial designers and engineers also fulfill requests for custom cases created for specific items such as specialty tools, medical instruments or electronics. Though custom sizes and shapes are available, the most common shape remains a box-like enclosure. Custom carrying cases are ordered by businesses or manufacturers who wish to protect their product but who also require a specially made case. Some custom carrying cases are manufactured using CNC machining which minimizes errors because computers control the machining instead of human operators. This allows the parts to be machined with high tolerances and precision. CNC machining may be used with a variety of materials; however, each material has its own fabrication and assembly requirements. 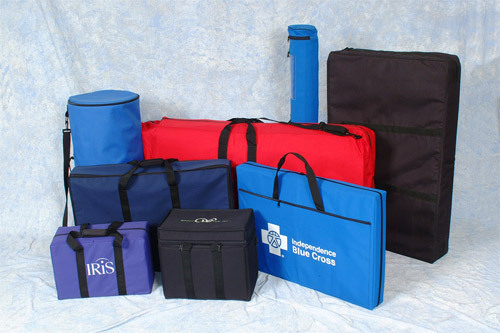 Metal carrying cases are made from sheets of metal that have been fastened onto a metal frame. Raw metal is melted together until uniform then cooled into slabs which are pressed through a series of rollers until it reaches the desired thinness. The sheets are then bent into the customized shape and dimension and welded or screwed together. The metal frame is usually constructed of extruded aluminum or steel. The corners are often reinforced with metal panels for longer life. Plastic shipping cases are molded through a number of processes including blow molding, injection molding and rotational molding. FRP plastics have fibers that are first woven, knit, braided or stitched together before bonding to the surface of the matrix, a tough plastic. Other customizable features include heavy duty swivel casters, twist latches, spring loaded handles, rubber gaskets around the doors for water resistance, recessed latches to meet military standards, molded lugs for secure stacking, shock mounts, enhanced and fortified steel or aluminum framing, buckles, straps, molded tracks for easy stacking or many other options. Custom Cases Custom cases provide protection for a wide variety of industrial items during shipping, storage and transportation. Custom cases are particularly useful in safeguarding fragile items, such as medical, electronic and computer equipment. 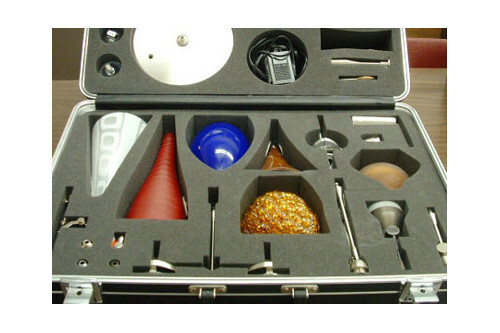 Custom cases are manufactured to meet the customer's specific needs. The criteria for creating the case and its accessories are based on what the item itself requires.